Even though it's slightly warmer this week, the heat is on full blast in both my office and my apartment. By early afternoon, my nose starts to get itchy, and I have to slather lotion all over my hands immediately after I wash them. The worst part about indoor heat, however, is that it dries out my mouth. In winter, I become a lip balm addict, using it at least once an hour while I'm awake (at nighttime, I've been known to slater Aquaphor all over my mouth before going to bed). Thankfully, this year, I've discovered KissFix.com (formerly LipMedic.com), a website devoted solely to lip balm. You can shop by brand, flavor, size, ingredients, containers, color, and basically any other lip balm characteristic you could think of. Even more helpful, most balms feature user reviews. While I'm not a fan of lip balm that comes in tubs (hello, germs! 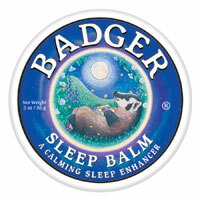 ), I might make an exception for this Badger Sleep Balm, a nighttime lip balm that contains soothing, sleep-inducing ingredients. 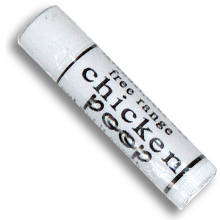 In spite of the nasty name, Chicken Poop is a best seller and has a lovely lavender scent. Another unfortunate name, the MoistStic (I hate the M-word) is minty and features vitamin E and tea tree oil to soothe chapped lips. In other words, come January, I'm really going to need this stuff. And, this doesn't really solve my dry-lips problem, since it would probably make me want to constantly lick my lips, but this Lemon Mousse Ganache for Lips sounds absolutely delicious. Shipping is just as cheap as the lip balms (average orders cost $1.80-$3.50) and arrives within 3-10 business days. Which is excellent, because in the case of dry lips, sooner is definitely better than later. My MUST haves are the 'Lipscription' set from Benefit. I adore this! It comes in little metallic squeeze tubes (put a dab on the finger an go!). One is a lip balm and goes on like silk. The other is a lip buff and I can't imagine life without it! I put a little dab on the lip, rub gently, tissue off and all the crud that can build up from chapping is GONE! Fab! I also keep a 'Smooch' in my bag. It's a vitamin E cream for lips. I could go ON and ON about Benefit--check out their website (www.benefitcosmetics.com) for more lip love. And congrats on the skinny jeans!